Mallorca cycling hotels has many hotels which offer everything you need for an incredible holiday spent doing your favourite sport. If you’re not that familiar with the Island, there’s no need to worry, as the specialist hotel staff will show you some of the most beautiful routes, from the mountains to the paradisiacal beaches. Hotel VIVA Blue & Spa is a hotel for cyclists who want to explore the pretty landscape on the island of Mallorca whilst they train. It’s perfect for families with children. You’ll enjoy a sporting holiday near the S’Albufera National Park, which has been declared as a place of national interest by UNESCO. This area is home to Muro and Sa Pobla and it’s one of the most important and well-known areas thanks to its varied wildlife. You’ll have access to top of the range facilities so that you can enjoy everything to the max during your stay. 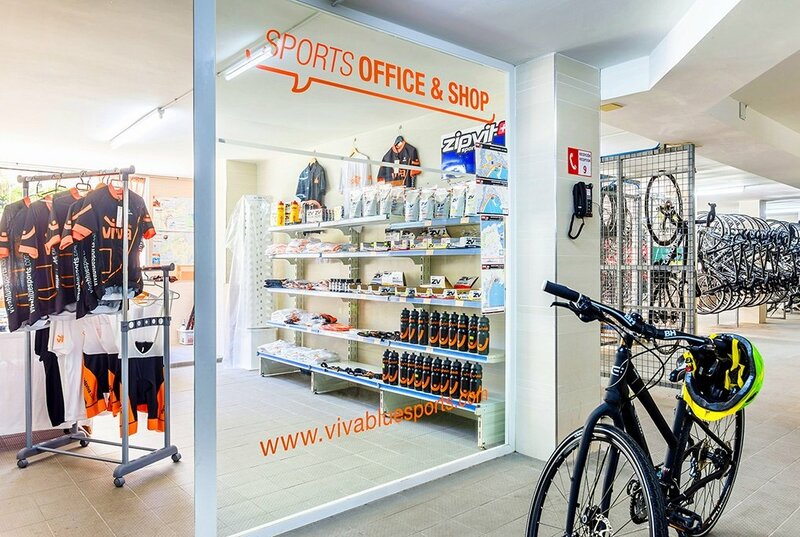 VIVA Blue & Spa has a state of the art Cycling Station which offers plenty of bike storage and is equipped with the best video surveillance system. You’ll cycle along some spectacular tracks, all of which are adapted to your needs and preferences. All VIVA Blue & Spa facilities are designed for cycling lovers who are looking for unforgettable experiences. Pure enjoyment! Hotel VIVA Sunrise is designed for combining family holidays with sports. The exclusive facilities are dedicated to you and your beloved bike, ensuring that every moment you spend in the hotel is unique. 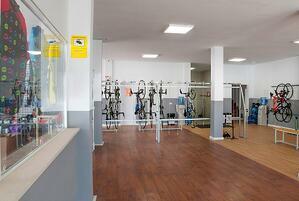 It features a Cycling Station equipped with everything you need enjoy your favourite sport. If you wish, you can also hire bikes and buy all kinds of accessories in the shop. Remember: there will always be specialists who can help you with any issues you might have with your bike. You won’t need to worry about anything! While you train at the hotel, your kids can enjoy a wide range of entertainment: crafts, trips and dances with Bufo, the mini-club mascot at Hotels VIVA. Hotel Vanity Golf by VIVA is located on the shore of the beautiful Bay of Alcudia. It’s part of the Adults Only category and is perfect for those who wish to enjoy a relaxing holiday and at the same time, give it their all out on the roads. This hotel for cyclists offers plenty of information to ensure that you can enjoy some great cycling routes. There’s also a workshop, water and picnic lunch available. You’ll be amazed by both Mallorca’s landscapes and its fantastic routes. You can relax at the Balneum Centre and the sea is just a stone’s throw away. What more could you ask for when on holiday on two wheels? At Hotels VIVA, not only do we promise you a cycling holiday, we also promise to redefine cycling holidays. The best adventures are possible by bike!